How did Israel, a country that has no domestic car manufacturing industry, become a worldwide powerhouse for autonomous-driving technology (also known as self-driving cars)? Here are our picks for the 10 hottest Israeli companies offering autonomous driving technology. The Jerusalem-based company that’s made its mark with an annoying beep whenever you get too close to another car or change lanes without signaling was bought earlier this year by Intel for $15 billion. The reason: to turn Intel into a player in the autonomous driving space. InnovizOne automotive-grade LiDAR device offers high-definition 3D scanning, while InnovizPro is designed for testing self-driving cars. Innoviz’s proprietary sensing solutions will be integrated into UK-based Delphi Automotive’s systems to provide automakers with a comprehensive portfolio of autonomous driving technologies. The company was founded in 2016 by former IDF members with experience in electro-optics, computer vision and signal processing. If InnovizPro makes it easier to test autonomous vehicles in the real world, Ness Tziona-based Cognata does the same in the virtual world. The Rand Corporation reports that autonomous cars will need some 11 billion miles of testing to prove they’re better at driving than humans. That would take a fleet of 100 cars running non-stop over 500 years. Cognata uses artificial intelligence, deep learning and computer vision to simulate real cities in 3D. For San Francisco, Cognata’s first virtual city, the company mapped every building and tree along with traffic models to study how autonomous vehicles drive and react. “We can drive millions of miles in a few hours,” Cognata CEO Danny Atsmon says. This Petah Tikva startup tackles the same problem as Innoviz – sensors to help autonomous cars “see” – but does it using micro-antennas to detect light waves rather than LiDAR. The technology splits the difference between existing systems. Like LiDAR, it uses a laser to illuminate the road ahead, but as with traditional radar, it treats the reflected signals as electro-magnetic waves. Oryx claims its system works better in bad weather, can see farther than LiDAR, uses much less energy, and brings costs down even further. “Autonomous vehicles need much more powerful depth-sensing capabilities than what was originally thought; existing technologies simply cannot deliver them,” Oryx CEO Rani Wellingstein told Geektime. On August 8, Oryx announced the closing of a $50M Series B funding round. For all the advanced technology in self-driving cars, they still can’t see around corners. That boosts the potential for collision between two autonomous vehicles. Autotalks has a solution. Two vehicles with an Autotalks unit installed can communicate with each other regardless of visibility. Autotalks can predict what will happen in the next five to 10 seconds, allowing enough time for a course correction, Autotalks CEO Hagai Zyss told ISRAEL21c . Autotalks is currently promoting its B2V (bike-to-vehicle) chipsets connecting people-driven cars and motorcycles, but it’s applicable for autonomous vehicles as well. Autotalks is part of an emerging vehicle-to-vehicle standard in the US that would mandate the technology by 2021, and is opening three new sites — two in Japan and a third in South Korea — to provide close local support to Asian car manufacturers and automotive Tier-1 suppliers. Your autonomous taxi or ride-share has no driver to tell you how many passengers can jump in the back seat or to remind you to buckle your seatbelt. Guardian Optical Technologies’ sensor scans the cabin for movement, distinguishing between still objects and people by looking for the presence of a beating heart. Guardian’s system replaces existing solutions, such as seat-pressure monitors and seatbelt-tension detectors, bringing down costs and boosting simplicity of installation. Guardian’s sensors can even remind you if you’ve left something behind – whether that’s a purse or an infant. “The future will be less about traffic accidents and more about hacks,” says Ofer Ben-Noon, CEO of Argus Cyber Security. Both Argus and competing Israeli startup Karamba aim to keep today’s connected cars and tomorrow’s autonomous vehicles safe from the possibility that someone with ill intent could take control. Argus, the bigger of the two, works with car manufacturers and equipment providers to embed its security into the car’s systems. Karamba focuses on securing the car’s most vulnerable points of entry for hackers: the infotainment center and the systems that keep it immobilized until being unlocked. Argus covers these two systems and adds telematics units, in-vehicle networks and aftermarket devices. In June, Argus was named to The Wall Street Journal’s Top 25 Technology Companies to Watch. You might not think of your car as a computer, but that’s what it has become. And just as computers generate data about what their users are doing, so do connected cars, from fuel level to tire pressure, speed, trip duration and number of passengers. As autonomous driving becomes a reality, the amount of data will only increase. Otonomo is doing for car-created data what Google did for search results. The company has developed an ecosystem for sharing driving information with third parties — insurance companies, fleet managers and car manufacturers. One goal is to use this data to improve future autonomous offerings. Gett certainly has a stake in the evolving self-driving car space – when taxis go autonomous, Gett plans to be there and the user preference data it’s amassed may give it an edge over traditional taxi services. Gett raised $300 million from Volkswagen last year and paid $200 million in April 2017 to buy rival Juno. You’re hankering for a self-driving vehicle, but you already own a car. It’s IVO to the rescue. IVO (“intelligent vehicle operator”) is a robotic chauffeur that can be placed in the driver’s seat of any car. IVO uses a handful of cameras, sensors and mechanical devices to depress the brakes and turn the steering wheel. Sophisticated algorithms make up for the relatively simple sensors. And it’s inexpensive – just $1,600 today with prices expected to fall if IVO is manufactured at scale. That’s a big if: IVO is still a prototype being built in a robotics lab at Ben-Gurion University of the Negev. But project head Oded Yechiel is bullish on the IVO opportunity, which means “you can still utilize the fleet of worldwide cars,” he told the Live Science website.” IVO weighs 33 pounds and can be carried in a suitcase. Everyone knows that fossil fuels are an unsustainable source of energy, dirtied by pollution and politics. But global attempts to find alternatives on a mass scale have had limited success. Could Israel be the country that finally puts fossil fuels to rest with the dinosaurs? “When we talk about killing fossil fuels, Israel is not yet seen as tops in the world, as we are in water or cyber technologies. But in each related niche — solar energy, battery technologies and electric car components – there is tremendous respect for Israeli companies,” says clean-energy activist Yosef Abramowitz, aka “Kaptain Sunshine,” whose Energiya Global social development company is bringing solar power to Africa. Two early solar-energy pioneers founded in Israel, BrightSource Energy and Ormat Technologies, are now headquartered in the United States with myriad international projects to their credit. BrightSource built the world’s largest solar electricity generation installation, in California, using nanoparticle coatings developed at the Hebrew University of Jerusalem. 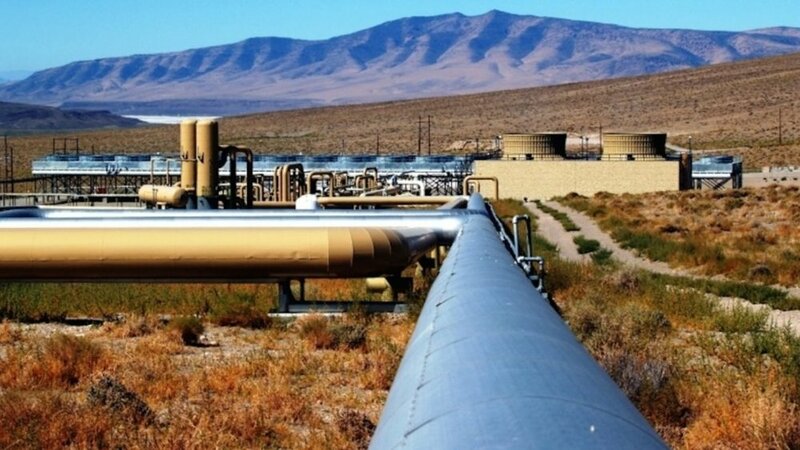 Ormat built one of the world’s first solar-power fields, near the Dead Sea, and is a leading geothermal and recovered-energy generation producer. Although Israeli electric-vehicle (EV) network Better Place had great disruptive potential, its bankruptcy in May 2013 dashed those hopes. Yet Abramowitz says the mega-fail led to something positive. “Better Place spawned a whole industry of 500 [Israeli] startups in the automotive sector, largely related to electric cars and the software and hardware that will kill the combustion engine,” he tells ISRAEL21c. In 2011, the Israeli Prime Minister’s Office launched its Alternative Fuels Administration and Fuel Choices Initiative, aiming to implement government policy and support for fuel alternatives research and industry that can serve as a model for other countries while helping reduce Israel’s dependence on oil for transportation. Since then, the number of alternative fuel research groups in Israel has grown from 40 to about 220 and the number of companies in this field to about 500. Globally, renewable energy is a $359 billion dollar business. ISRAEL21c takes a look at 10 Israeli companies trying to accelerate the end of fossil fuels. This Israeli startup is reinventing the combustion engine to power the “series” hybrid EV car of the future. The lightweight Aquarius engine has a single-piston linear engine. A cylinder moves the fuel from side to side to generate electrical current, much like sea waves can do through an up-and-down movement. A car fitted with the Aquarius engine would have a range of 1,200 kilometers (745 miles) per 50-liter (13-gallon) tank, which would have to be filled every five or six weeks. Aquarius is working with Peugeot to test its engine in a concept car. The company also is developing a lightweight portable generator based on its technology. Founded in 2012 in Rosh Ha’ayin, Brenmiller Energy has created products for renewable energy including a thermal storage system that hybridizes any power source — wind, solar, biomass, nuclear, natural gas — to provide reliable, clean energy anywhere. The B-Gen unit’s first cycle transfers the heat coming from different sources; the discharging cycle delivers steam on demand on a megawatt or gigawatt scale. Commercial projects are underway in several countries. Founder Avi Brenmiller was involved in solar power plant design in Spain and in the United States through the Israeli company Luz Industries, acquired by Solel and then by Siemens. Doral, of Ramat Gan, was the first company to connect a solar PV system to the national electricity grid, back in 2008. Its several branches operate renewable energy projects (natural gas, biogas, wind, solar) throughout Israel, especially in kibbutzim in periphery and rural areas, including what will be the largest (170 megawatts) PV power plant in the Israel. Doral recently entered a joint venture agreement with Invenergy, the largest privately held electricity producer in the United States. Doral is planning to introduce advanced means of electricity production, storage and smart grid solutions to eliminate the need for external electricity suppliers. The Tel Aviv-based company’s proprietary technology extracts energy from ocean and sea waves and converts it into affordable, zero-emission renewable electric power. EWP has projects in various stages in the United Kingdom, Gibraltar, China, Chile, Israel and Mexico. ElectRoad of Rosh Ha’ayin, founded in 2013, is developing a smart transportation technology for underground electric coils that recharge EVs wirelessly as they travel. 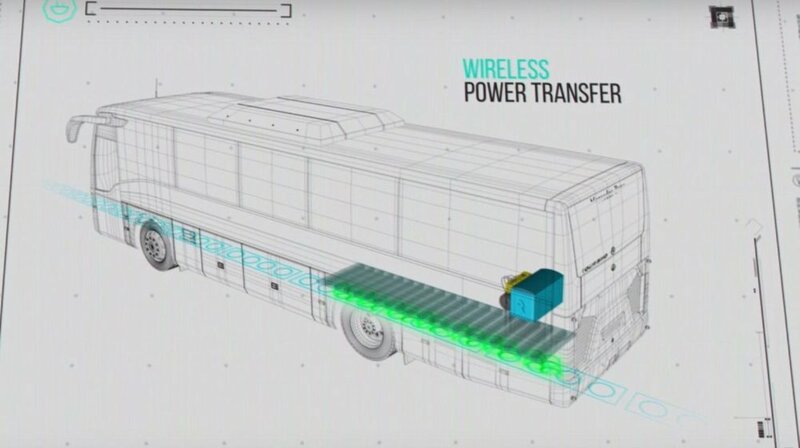 Its Dynamic Wireless Electrification System would initially be implemented for electric public buses. The revolutionary technology reduces the need for a large battery and for recharging or refueling the vehicle during the day. This Jerusalem-based renewable-energy developer will invest $1 billion over the next four years to advance green power projects across 15 West African countries. Energiya Global and its associated companies developed the first commercial-scale solar field in sub-Sahara Africa in Rwanda, and broke ground on a similar plant in Burundi that will supply 15% of the country’s power. Energiya Global now has fields at various stages of development in 10 African countries. H2 Energy Now is building a prototype battery-free solution for storing and increasing the usability of alternative energy from intermittent sources – sun and wind – to meet times of peak demand reliably. Radio waves separate water into hydrogen and oxygen and then recombine them in a fuel cell when energy is needed. H2 Energy Now is in the finals for several contests and is in talks with worldwide energy corporations. In addition, the company was one of four winners of the AES Corporation’s 2017 Open Innovation Contest, held in Washington, DC, for designing a ceramic drone enabling unmanned inspection solutions for extreme heat environments in the global power industry. Founded in 2011, NCF is raising funds toward a working model of its technology to transform two waste streams — industrial water and carbon dioxide — into a hydrogen-carbon monoxide synthetic gas, which is then turned into liquid fuels, plastics and fertilizer. The conversion process is fueled by concentrated solar energy or byproduct heat from the industries themselves. NCF signed a cooperative agreement with Sinopec Ningbo Engineering to address carbon dioxide pollution in China. Solaris Synergy of Jerusalem developed a solar-on-water power plant that converts a water surface into a cost-effective and reliable solar-energy platform. Solaris and Pristine Sun of San Francisco received a BIRD grant to collaborate on a utility-scale floating photovoltaic solar energy system to be installed in California. Last October, Solaris installed a 100kWp Floating PV system on a reservoir in Singapore. Recently, Solaris formed a partnership with Electra Energy to plan large projects in Israel. Electric vehicles can never be mass marketed unless they have batteries that store a charge longer, weigh less and charge up faster. StoreDot of Herzliya concentrates on fast charging. In June, City A.M. ranked StoreDot No. 1 on its list of the 100 most disruptive startups in the world. StoreDot is developing a pack for EVs comprised of hundreds of its proprietary EV FlashBattery cells. Together, the cells take only five minutes to charge fully and provide up to 300 miles (480 km) of driving distance. In addition, FlashBattery is environmentally safer than a lithium-ion battery, utilizing organic compounds and a water-based manufacturing process. A unique wireless electrification system is to be piloted on a bus route in Tel Aviv, before it moves to Europe. As more and more electric vehicles hit urban streets across the world, better battery-recharging solutions are desperately needed to improve range, keep costs low and boost user confidence. Oren Ezer (CEO) and Hanan Rumbak (CTO) cofounded ElectRoad in 2013 to develop their unique twist on the concept of underground electric coils that recharge vehicles as they travel on the road. 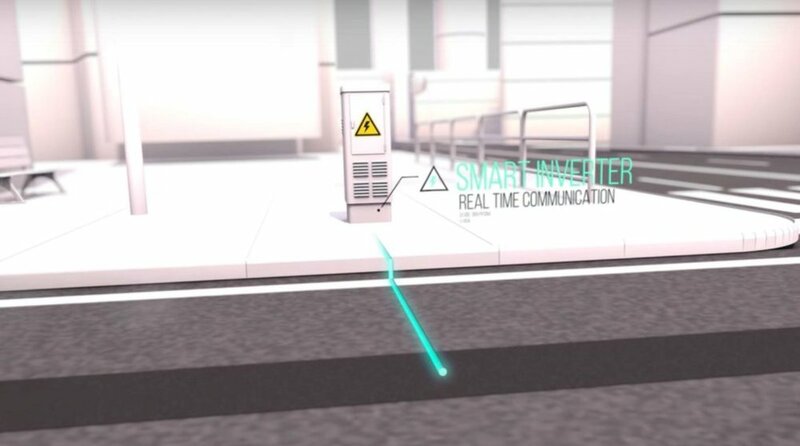 In a few months, ElectRoad’s dynamic wireless electrification system is beginning a pilot project in Tel Aviv involving a short public bus route. “The idea of electrifying vehicles from the road is trendy right now and you can see several companies trying to do a similar concept to us, but our technology is totally different, from the coils under the asphalt to the transfer of energy to the bus,” Ezer tells ISRAEL21c. ElectRoad received funding in October 2015 from the European Union’s €18 billion Horizon 2020 project to refine its objectives, define its market segment and woo strategic partners. “We can use the grants to create pilots in Europe, where we already have several partners, and will apply for Phase 2 Horizon 2020 grants at the end of 2017,” says Ezer. He expects to start a pilot project in 2018 in a European city modeled on the one in Tel Aviv. ElectRoad’s copper-and-rubber electromagnetic induction strips are installed inside an 8-centimeter trench in the asphalt. From digging to repaving, the process can be completed on a one-kilometer stretch in half a day. The system also requires smart inverters with real-time communication capabilities installed on the sides of the road; and a coil unit attached beneath the electric vehicle to receive the power over a small air gap to insure safety. Because the ElectRoad system electrifies the engine directly, without going through the battery, the vehicle’s five-ton battery can be replaced with a much smaller battery – which is lighter and more energy-efficient – providing five kilometers worth of charging in areas that are not outfitted with the underground infrastructure. The company’s offices are in Rosh HaAyin and its main facility is in Caesarea, but Tel Aviv was an obvious choice for its first pilot. The city already has made an investment in electric buses for public transportation. “Tel Aviv is an innovative city and we have a lot of cooperation from everyone including the transportation authorities,” says Ezer. ElectRoad also gets funding from the Israel Innovation Authority and the ministries of Transportation, Energy and Economy. The first market focus will be Europe, which is thirsty for clean transportation solutions. The potential for ElectRoad’s system is huge, however, as China has thousands of electric buses and the United States is starting to get onto the electric transportation bandwagon. Ezer and Rumbak, who met six years ago while working at Elbit Systems, plan to scale up ElectRoad very gradually. They learned their business lessons from conversations with 20 former employees of Better Place, the Israeli electric car network that went bankrupt in May 2013, due in part to overly ambitious and too rapid expansion. Looking for evolution rather than revolution, Ezer and Rumbak plan to prove their cost-savings and pollution-preventing concept one bus line at a time, working their way up to taxis and eventually to private vehicles. The intellectual property is protected by a patent in London, and another three pending. The pilot systems are all made in Israel; eventually the heart of the system will be manufactured in Israel and the rest abroad. Wertheimer has built six industrial parks in Israel (and a seventh in Turkey) that provide working space for industrial startups—he has dubbed them “capitalistic kibbutzes.” One contains the innovative Open Museums. These were some of the endeavors for which Wertheimer received the Oslo Business for Peace Award in 2010.